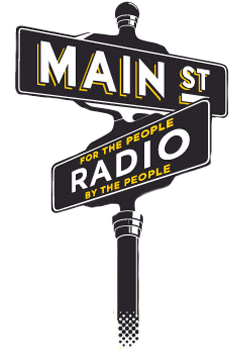 Main Street Radio Network is a boutique network of selected nationally syndicated shows. It’s also an advertising rep-firm offering our clients access to millions of listeners via a multitude of programs both inside and outside the Main Street Radio Network line-up. 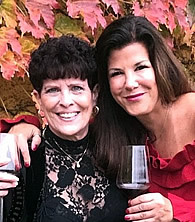 Whether it’s our programming, advertising or affiliate relations services, we are on a mission to exceed the expectations of each and every listener, sponsor and radio outlet. Our team brings decades of multi-media experience and is passionately dedicated to the kind of uncompromising excellence too often forgotten in today’s sagging work ethic. So, if you’re a listener who longs for the days when radio could surprise you, check out both our daily and weekend entertainment. If you miss any on the dial, you can still enjoy them all through our podcasting. If you’re a sponsor on the hunt for hassle-free service that provides the most people reached for the least dollars spent, let us illustrate how we can do that for you. Finally, if you’re a GM or PD interested in talk programming that consistently entertains your demographics, rest assure that our award-winning broadcasters respect your airways and understand that if you’re not selling to your local clients, we’re not doing our jobs. A good weekend to catch up on previous shows. My podcasts here. Thank you to our friends at the Good News Networks, “All the Good News That’s Fit for Views” for the featured mention. Here’s back at you – by clicking this link. Listen to Our Podcasts on Castbox! Stay in the loop with the latest from Main Street Radio Network.